The caliber of instruction by Enio Cordoba and his partner / fiancée, Terryl Jones is unparalleled. Both teach at the Let’s Dance Studio in California, and have a student base numbering the thousands. Holding classes virtually seven days a week, the Let’s Dance studio has some of the largest dance classes in Southern California. 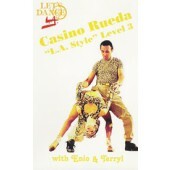 Enio and Terryl have a dance and training background that is to die for. Both have taught and trained with some of the top names in the industry. “Enio and Terryl” have become household names with dancers and instructors from all over the world, eager to take their popular techniques classes, and instructor-training courses. Enio and Terryl’s specialty is dancing to the music, which is an entirely different level of education, very difficult to find. 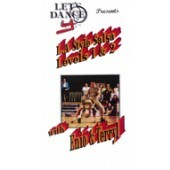 Enio & Terryl teach on1 and their dance products are available on Zone Free DVD.